For ages, people have depended on local biodiversity for food. With the erosion of biodiversity, people stand to lose the potential to adapt to challenges raised by land degradation, climate change and increase in population. India has a huge opportunity here. It is one of the 17 mega biodiversity-rich countries and accounts for 7 to 8 per cent of the recorded species of the world. 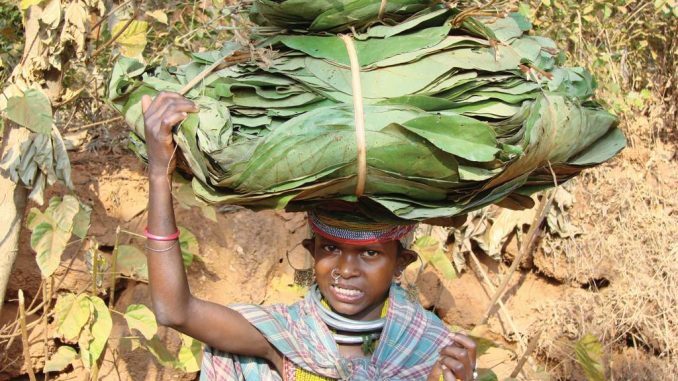 In tribal villages in Odisha, studies have shown that people harvest as many as 357 types of foods from the forests. But the government’s failure to capitalise on this is evident from the budget allocations for the Union Ministry of Environment, Forests and Climate Change. While Rs 30 crore were made available for biodiversity conservation in 2017-18, this has gone down to only Rs 14 crore in 2018-2019. This is out of the total budget of Rs 2,675 crore available to the ministry for the year 2018-2019. As the Convention on Biodiversity celebrates its 25 years of action, this does not bode well. The theme for this year’s International Day for Biological Diversity is to increase understanding and awareness of biodiversity issues. Along with biodiversity in the wild, even biodiversity in the plants that are cultivated is being decimated. According to the FAO, about three-quarters of the genetic diversity found in agricultural crops has been lost over the last century. For example, today, 90 per cent of energy and proteins comes from only 15 plant and 8 animal species. To promote good practices across all agricultural sectors that will support the conservation and sustainable use and management of biodiversity, Food and Agriculture Organisation and Convention on Biological Diversity are holding a Multi-stakeholder Dialogue on Biodiversity Mainstreaming across Agricultural Sectors from May 29 to May 31. The Dialogue will bring together experts and stakeholders from agriculture, forestry, fisheries and the environment sectors to figure out ways for conservation and sustainable use of biodiversity while increasing production to meet the growing demand for food.